The framework developed by the National Institute of Standards and Technology is the standard for information security and with governmental compliance in a number of areas, including HIPAA. 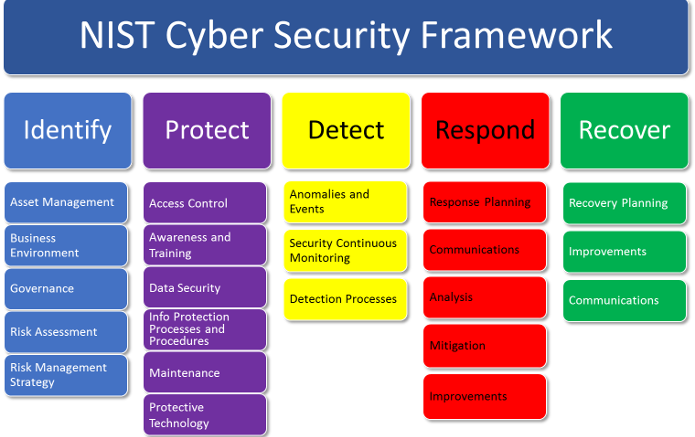 The NIST Security Framework, created through collaboration between government and the private sector, uses a common language to address and manage cyber-security risk in a cost-effective way based on business needs without placing additional regulatory requirements on businesses. How can your organization use the framework? NorthStar Technology Group has the tools and expertise to help you down the road of cyber-security. A process that allows executives and board members visibility into their technology vulnerabilities in order to make informed decisions regarding policy and procedure. The process may replace the compliance tasks currently assigned to employees who have other responsibilities that are more in line with their skills and background. Reports can be generated quarterly to ensure your facilities’ preparedness for an audit.